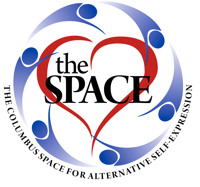 Columbus Space for Alternative Self Expression - Introverts Unite in May! Not a member of the Space? No problem, this event pass will give you a 1 day membership and get you into this event. An event for introverts? Why not! Introvert does not necessarily mean shy or doesn't like people - sometimes we like to come out and be around people, even each other! This gather is for people who identify as introverts. There will be a few areas. One area where people can gather in quiet and read, work on crafts, or just be. Another area where games or cards are set up, allowing some interaction. And perhaps a third area for talking - not small talk, but some honest to goodness conversation! And this time, a cuddle pile! There will be tags for people who want them, and they can be identified as "come talk to me" or "give me space". And of course, snacks, munches, and...tea!